As we transition from the questionable unusable cars from the 1920s into the almost daily driveable cars from the 1930s, we keep finding Model As...probably because Ford built 4 million of the things from 1927-1931. However, instead of featuring stock street versions (the Model A has a standard pedal and shifter layout...so anyone could drive one) I find myself inexplicably drawn to weird stuff...like the Doodlebug. Find this 1930 Ford Model A Doodlebug offered for $4,000 in Thief River Falls, MN via craigslist. This post is part of DT's 2016 Birthday Celebration of 100 cars; enjoy the ride! The name Doodlebug was a colloquial name for Model As that had been converted into tractor-like things before and during World War II. 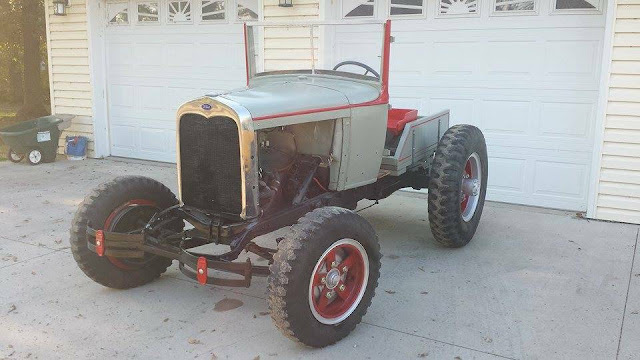 At first it was because it was cheaper to get a used Model A and convert it into a tractor than to buy a new tractor. Later (namely after 1941), the impetus shifted a bit; automotive factories were busy cranking out tanks & planes so folks did the American thing and just built their own tractors from junk they had sitting around. The few that survive are a testament to the ingenuity and old school pigheadedness of middle America. I've seen things called a doodlebug before, but most of them looked almost like some sort of track-T or go kart, only jankier. 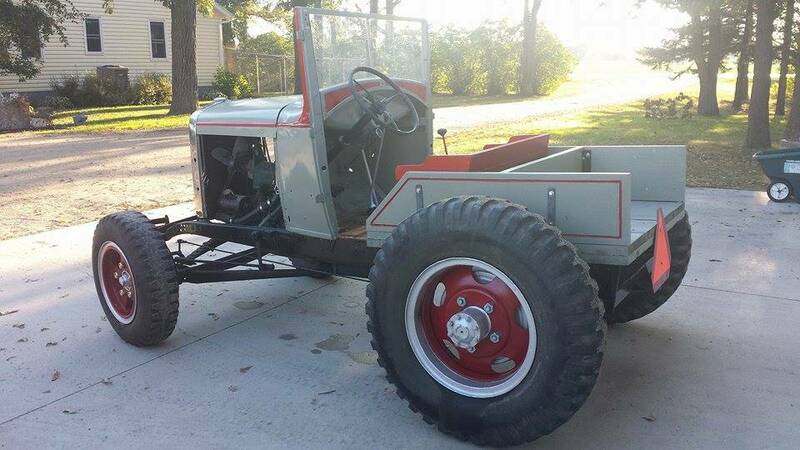 This is the most tractor-like doodlebug I've seen, and by far the least scary looking one to actually use. A Doodlebug in Thief River Falls. Talk about some great nomenclature. I missed the location. That's the home of Digi-Key, one of the more well known electronics wholesalers. Yeah, it is a rather odd name for a town - I wonder what the story behind it is.